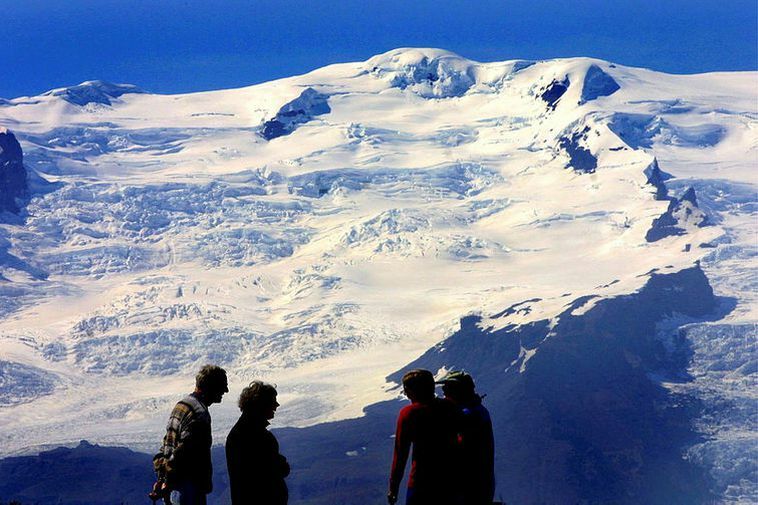 In response to a major increase in the number of tourists who visit Vatnajökull National Park, companies in the tourism industry will be required to obtain a permit to operate within the park boundaries. The requirement will take effect in coming months. The companies will have to follow rules regarding worker and tourist safety, as well as regarding conduct in the area. Last year, more than one million tourists visited Vatnajökull National Park. Monitoring everyone is impossible, Magnús admits. “What makes our job difficult is that Vatnajökull National Park covers 14 percent of the country’s area.” An admission pass is out of the question, he opines. He stresses the importance for travelers to always leave a travel plan with safetravel.is. The permits to be issued will be electronic. A permit holder can be stopped any time and requested to present the permit. Anyone planning to travel in the Icelandic highlands should always leave a travel plan with safetravel.is. Their website provides essential safety information and alerts for travelers. The weather in Iceland changes rapidly. Before hiking, always check the forecast at en.vedur.is.